Gene Wolfe | Weighing a pig doesn't fatten it. If Nightside The Long Sun was about the protagonist’s self discovery, this second book in the series is about Patera Silk slowly discovering the true nature of his world. It was earliest morning, when even small trees cast long shadows and scarlet foxes trot denward through the dew like flecks of fire. That’s a line from The Urth Of The New Sun, and it’s one of my favorite lines ever. 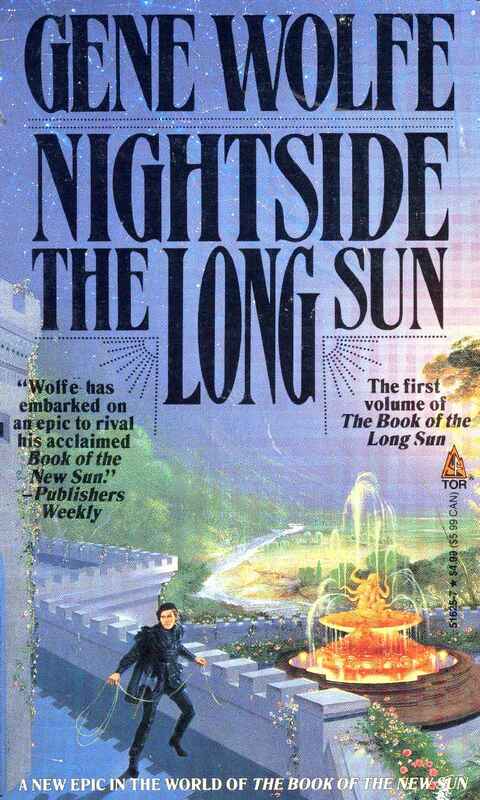 Since Gene Wolfe wrote it, and Nightside The Long Sun is the first volume of The Book Of The Long Sun, a series set in the same universe as The Book Of The New Sun – one of my favorite reading experiences ever – I started this book with high expectations, the hideous cover notwithstanding. 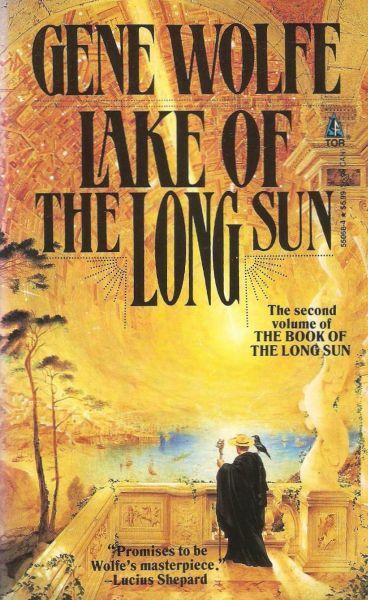 Add to that the fact that Kim Stanley Robinson has called The Book Of The Long Sun his favorite SF novel. Indeed, novel. The 4 books in this series are actually one big book: the 333 pages of the first volume all of a sudden just stop, and Lake, the sequel, just picks up where Nightside stops. So, my definitive judgement on the Artistic Merit of this Book will have to wait until I’ve read the 3 other volumes – something I will most definitely do. I once read that most of Wolfe’s main characters aren’t fully aware of the true nature of their world nor the role they play in it. This is for sure the case in The Book of the New Sun-cycle, and its successor, The Book of the New Urth. 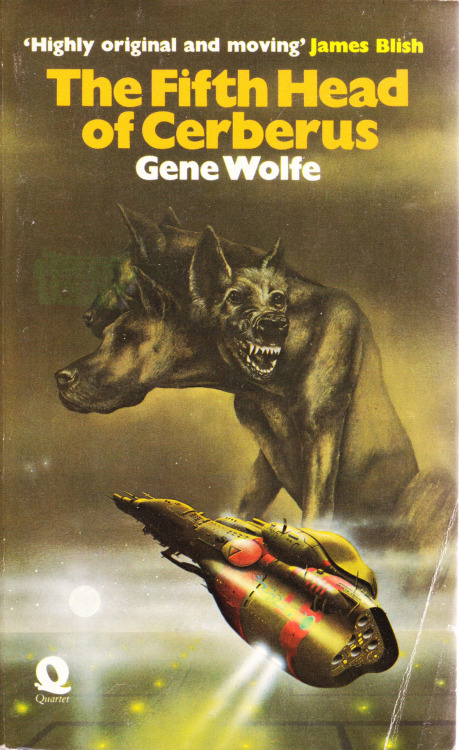 To a large extent, it is also the case for the protagonists in the three interconnected stories in this book, that predates Wolfe’s most succesful cycle about 8 years, but already shows a lot of the same ambiguity, narrative techniques (most notably the unreliable narrator) and themes (like the theme of memory). The title story (about 75 pages) deals with a boy who discovers his true origin, and is the most SF of the 3 stories of the collection, and the easiest, most ‘normal’ read. The second story (“A Story,” by John V. Marsch, about 60 pages) is very different stylistically, and reads as a mythical story. In that respect it resembles some of the stories that are told by some the characters in The Book of the New Sun, most notably in the 4th volume, where Severian participates in a story-telling contest. It’s excellent, but it’s not an easy read – one needs to pay attention to every detail. It has hardly anything to do with how most SF feels like. The third story (V.R.T., 110 pages) sits somewhere in between those two: not an easy read, but the prose is less dense than that of the 2nd story. I’d say it is, in a way, a cross between Kafka’s Der Prozess and an adventure novella. It has thrilling, baffling passages that alone merit the purchase of this book. Since The Book of the New Sun is practically my favorite series ever, Wolfe has written a benchmark that makes for hard competition with himself. Yet, most fans of SF, mystery prose, intricate fantasy, the poetic and the bizarre will find The Fifth Head of Cerebus an intriguing, rewarding read nonetheless. But, be warned, it requires a bit of an effort, as most good things in life. I wouldn’t call it a full-blown masterwork, but a minor classic it surely is.